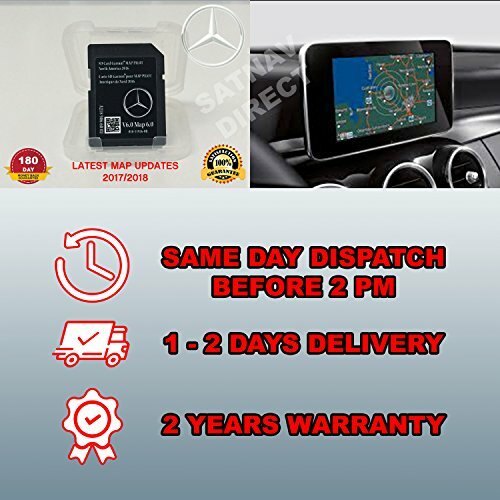 Genuine Mercedes Part # A2189063502 All you need to know about the Garmin MAP PILOT User-friendly navigation, precise map data and excellent route guidance - the Garmin MAP PILOT brings all the benefits of a Garmin navigation system to the Audio 20 CD with touchpad. All you need to do is insert an SD card featuring the navigation software and map data. The maps have a Garmin look and feel and appear in high resolution and in color on the multimedia system's large display, with additional navigation information in the instrument cluster. 3D views with precise depiction of streets and buildings help orientation and photorealistic views of upcoming junctions guide you to the right lane at the right time. The user can operate the intuitive system via the Controller or the touchpad. The touchpad's character recognition functionality allows text input. The navigation system can also be voice-controlled. Please note: The Garmin MAP PILOT can only be used in conjunction with Audio 20 CD with touchpad (Code 522). NEW! Cards are 100% functional, taken from new vehicles that were bought in USA and exported to Europe.. Not inserted to any car. Cards without original boxes. If you have any questions about this product by VJZ, contact us by completing and submitting the form below. If you are looking for a specif part number, please include it with your message.